We are one of the leading providers of carpet cleaning services in the area and offer our customers reliable and affordable solutions. We maintain high work standard and take an extra step to educate our customers how to maintain carpets in a good condition in our absence. Carpets are delicate materials and have deep pores where the dirt and dust gets accumulated. This accumulation of dirt ruins not only the look of the carpet but also makes it quite heavy. 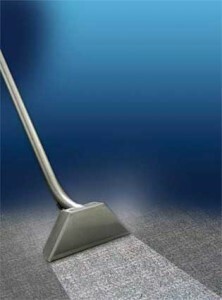 Cleaning the carpet by yourself becomes a difficult task and consumes a lot of time. Our professional cleaner comes equipped with all the latest cleaning equipments and tools to clean your carpet perfectly. As they have been doing this job since a long time, they know exactly what your carpet requires. For the removal of tough stains from the carpet we use ant-stain solutions from top brands like Prochem. If you really want your carpet to look amazing then professional cleaning is the only way to ensure that. We pay equal attention to the way the work is carried out by our cleaners and monitor their work on a regular basis. If anytime you feel that your carpet has not properly cleaned, give us a call and we will re-clean it. Our services are punctual, flexible and we always strive to bring a smile on the face of our customers with our dedication and commitment towards the task.